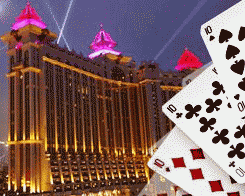 NordicBet Poker is giving away a €2,500 prize package to Macau in September. If you wager at least €20 on Casino in Poker games in a qualifying week you will be entered into a weekly freeroll where 25 players will advance to the finals. Your starting stack in the freeroll is based on how much you wager during the week. 2nd – 5th – €50+5 tournament ticket.